Cocktails + Cabaret returns for two nights only on Thursday, February 14 and Friday, February 15 as part of Fargo Moorhead Community Theatre’s annual fundraising efforts. 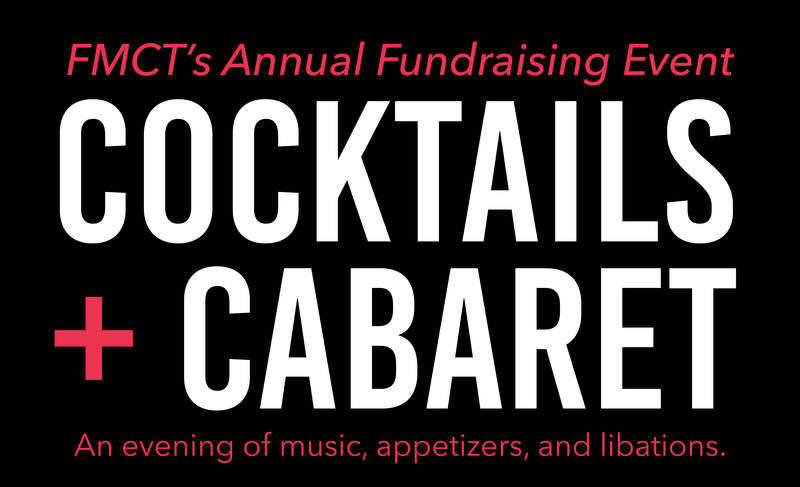 Spend a unique and romantic evening over Valentine’s Day weekend enjoying music, appetizers, and libations while supporting FMCT’s programs. Standard Ticket admits 1 and includes drink ticket, appetizers and dessert. Admits 1 FMCT Member and includes drink ticket, appetizers, and dessert. Sweetheart Table admits 2 and includes a private table, appetizers, dessert, and a bottle of wine. Cocktails + Cabaret will be staged in the Pavilion at The Stage at Island Park. Patrons will be seated at round banquet tables of eight. All tickets from your order will be placed at the same table. If you wish to be seated with patrons who ordered tickets seperately, please contact the box office at 701-235-6778.